The prevalence of atherosclerosis has increased significantly in the recent years due to sedentary lifestyle and high-fat diet. However, the association between saturated fat intake and the increased risk for atherosclerotic cardiovascular diseases remains heavily debated. Lauric acid belongs to the saturated fatty acid group and its unique medium chain fatty acid properties are proven to be beneficial to humans in many ways. Thus, the aim of this project is to investigate the effect of lauric acid on the expression of a disintegrin and metalloproteinase with thrombospondin motifs (ADAMTS) genes—ADAMTS-1, ADAMTS-4, and ADAMTS-5—in macrophages. These genes encode for proteases that participate in the extracellular matrix remodeling and they play important roles in the vulnerability of atherosclerotic plaque. Here, we show that the treatment of 20 µM of lauric acid successfully reduced both transcriptional and translational expressions of these genes in THP-1 differentiated macrophages after 24-h incubation. 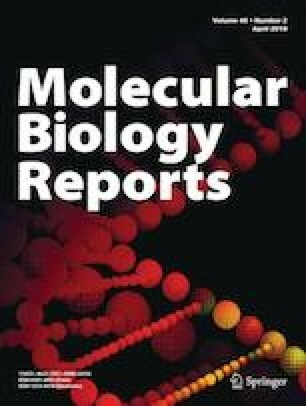 Further cell signaling experiments using a panel of kinase inhibitors and phosphorylated antibodies proved that lauric acid down-regulated ADAMTS-1 by reducing the activation of PI3K and JNK at Tyr458 and Tyr185, respectively. Finally, JNK1 siRNA knockdown assay confirmed that ADAMTS-1 was regulated through JNK pathway, and lauric acid interfered with this pathway to down-regulate ADAMTS-1 expression. Although preliminary, this present study indicates that lauric acid has the potential to stabilize atherosclerotic plaque and may prevent thrombosis by interfering with the ADAMTS-1 expression through PI3K/JNK pathways. This work was supported by Malaysia’s Ministry of Higher Education’s Fundamental Research Grant Scheme (FRGS) (FRGS/2/2013/SKK01/UTAR/02/3).